Aaron’s practice focuses on helping families and individuals with their legal needs. His practice includes family law dealing with divorce, adoption (traditional, step-parent, and contested adoptions), custody, child and spousal support, the equitable distribution of assets, as well as the negotiation and preparation of prenuptial and post-nuptial agreements. Aaron also advises clients in a variety of other legal issues crucial to individuals and small business owners such as real estate partition actions and on specific aspects of business succession planning. 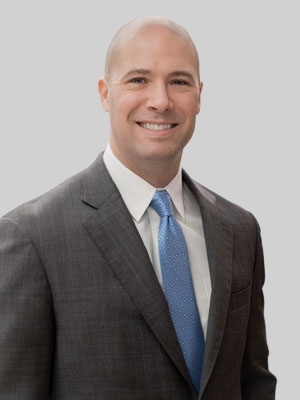 Aaron is based in Fox Rothschild’s Montgomery County office, but regularly handles cases in Philadelphia and the surrounding counties of Chester, Delaware, Bucks, Lancaster and Berks. Bennett v. Bennett. Aaron successfully argued before the Superior Court to overturn the trial court’s decision to divide a pension twenty-five years after the parties’ executed a marital settlement agreement. The Superior Court’s decision reaffirmed existing law regarding the enforceability of pre- and post-nuptial agreements. As an undergraduate at Villanova University, Aaron played outside linebacker for the Wildcats conference championship and two-time NCAA play-off football teams. During law school, Aaron clerked for the Honorable Juan R. Sanchez of the 15th District (Chester Co.) Pennsylvania Court of Common Pleas and had the opportunity to work on criminal and civil cases. Prior to joining Fox Rothschild, Aaron was an associate at a boutique litigation firm. Aaron is an active pro bono attorney through the Philadelphia VIP program and Southeastern Pennsylvania Legal Aid Society. He served as the Treasurer to the Montgomery County Bar Association Family Law Section in 2018 and begins his term as Secretary in 2019. He is also a member of the advisory board for the Andy Talley Bone Marrow Foundation, which strives to increase the number of available bone marrow donors on the national registry, primarily through intercollegiate athletic programs of all levels. Aaron writes for the Pennsylvania Family Law Blog which provides readers with information on and insight into Pennsylvania family law issues, including divorce, equitable distribution, alimony, child support, spousal support, alimony pendente lite and custody.